Frank A. Canzona : Metropolitan Capital Tax & Wealth Management, Inc.
Like each and every member of the Metropolitan Capital Tax & Wealth Management team, Frank Canzona is fully committed to providing clients with the very best in terms of customer service, tax preparation, and financial planning advice; his background makes him qualified to do so. Frank began his career as a staff accountant for a major construction firm in 1982. Building on his success, he accepted an accounting position with Solinger & Sons, a multimillion dollar manufacturing company, where he eventually earned a promotion to Assistant Controller. From there he went to work for the CPA firm of Gassman, Gassman & Griper, where he prepared taxes and provided tax planning advice for presidents and other senior executives of several Fortune 500 companies. Venturing out on his own in 1987, Frank founded an independent tax consulting and accounting firm as an individual practitioner. He prepared tax returns for hundreds of individuals and businesses located throughout the United States on an annual basis. I review my client's situation to help them pay the least amount of taxes possible under the law. Year-round planning gives me the ability to help improve my client's overall financial situation, and as a result they can plan for their financial future more effectively. Tax planning should be 365 days a year. Throughout the year, Frank presents educational workshops and seminars on various topics including personal taxes, business taxes, estate planning, and long-term care. By attending such presentations, members of the audience can gain knowledge and practical advice in all areas of financial planning. A firm believer in providing service to the community, Frank teamed up with his colleague Marc Bongiorno to serve on the fundraising committee of the Long Island Chapter of the Diabetes Research Institute. As a committee member, he was instrumental in helping to raise substantial funds to help fight diabetes. Frank earned a Bachelor of Science in accounting from Wagner College on Staten Island in 1982, was a varsity football player, and member of the Tau Kappa Epsilon Fraternity. 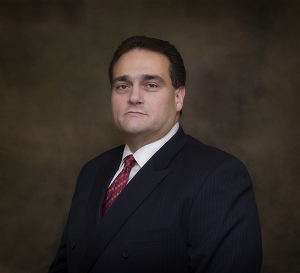 He is a member of the National Association of Tax Preparers, holds Series 6 and 63 registrations, and New York and New Jersey licenses for Health & Life Insurance. He also has more than 25 years of experience as an accountant and tax preparer. He lives in New Jersey with his wife Regina and their two young sons.